In the Old World, the adherence to doctrine was to help prepare one’s self for entering the gates of Heaven and receiving eternal life. To not follow the dogma as prescribed by the hierarchy was tantamount to turning one’s back on God and committing the soul to everlasting torture and pain. Yet afterlife spirit research contradicts both these assertions. 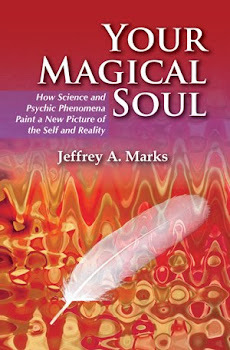 Over more than one hundred years ago, the scientists and academics who headed up the Society for Psychical Research in both England and America laid the groundwork and brought forth incredible evidence suggestive of spirit return through such mediums as Leonora Piper, Mrs. Chenoweth, Mrs. Gladys Osborne Leonard, as well as others. The “cross- correspondences” convinced many in the organization that they had obtained scientific proof of survival and communication. This history unfortunately got dismissed, mostly forgotten, and it wasn’t until the late 1990’s that mediumship once again was taken seriously – at least by a minority few in academia, starting with Dr. Gary Schwarz. In addition to the research done with mediums, modern technology has given us unprecedented tools for reaching out to those in spirit, most notably through Electronic Voice Phenomena (recording spirit voices on recorders). 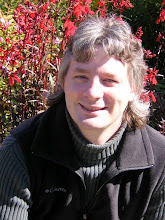 Though both these techniques (EVPs and Mediumship) have their detractors and skeptics, the overall data and results from skilled researchers along with asking the right questions still point in the same direction as the earlier Society for Psychical Research archives – consciousness survives. The next question is: what does that survival of consciousness look like? Staying with the theme of this article, for centuries we were told that if we follow the rules of a particular theology, it would grant us a hoped-for peace and everlasting life (and consequently, those who didn’t …) Well … it just doesn’t work that way. There isn’t any Hell and no one is blocking you at the gate for not following a particular brand of theism. However, the idea of how you live your life on earth does still hold some truth as to how one might acclimate to the Other Side. When original Society for Psychical Research members passed away and began communicating through mediums in an effort to prove their identity to their earth-bound colleagues, many of them stated how their lives – both on earth and the afterlife – would have been much better had they known eternal life was a matter of natural existence and paid attention to what that meant (and not in the way it had been traditionally taught). They were all adamant about the joys of the next life, yet they stated how they still had much more to learn. Indeed, they were saying that had they approached things a bit differently on the earthly side of life, it would have made them less ignorant when it came to their own existence in the afterlife, and consequently they would be getting "more" out of it. In a way, this makes some sense. Think of it like stages in earthly life. We now know that events in our childhood can still have irrevocable influence and outcome on who we are and what we do when we are adults. In this way, we can also see how our lives on earth might also have an effect on our existence in the next life as well. How could it not? This is not to say we must always be on-guard, or give our earthly thoughts away and think only of the next world …. That would be akin to saying “forget childhood and jump straight into adult life.” No, no, no. One is needed to inform and shape the other. And this is not out fear either. Just like our journey through childhood we learn what is needed as we move into adulthood and society, so too is this life preparing us in ways for the Other Side. To me, this is how we must view our relationship between our existence here and our future existence over there. They are intertwined; one informs the other. When we reach the Other Side, we are told that we exist beyond Time and Space and that we cannot die – yet the nature of our experience (what we are capable of accomplishing) falls upon the simple axiom of knowledge over ignorance – in this case, I gather it is “spiritual” knowledge over “spiritual” ignorance. Wherever one falls on such a spectrum plays a unique role on what one is capable of accomplishing or where they can go right out in the afterlife. All are granted eternal life – that is not an issue – but just what one can experience or do in the afterlife is correlated with what one knows or doesn’t know spiritually. This is not so different from earth – knowledge opens doors to possibilities, whereas without proper knowledge, a door will oftentimes remain shut until the deficit in wisdom is corrected. 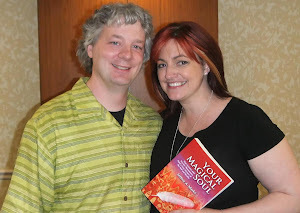 In all cases, spirits coming through speak of the afterlife in joyous and loving terms, but also acknowledge there is so much more, and that access to this “more” is somehow related to knowledge, and that our earthly experience can help with that foundation. In knowing this ahead of time, it forces us to examine ourselves (and primarily our relationships) in the Here and Now. If we can master unconditional love, compassion, joy, then when we arrive into the next world we will not feel so much like a fish out of water – at least so I’ve been told. We won’t have as many regrets, we will spare ourselves a sense of possible embarrassment or exposure as the Life Review reveals our most nonsensical and ignorant moments, and we won’t feel that we have sold ourselves short for what is possible in the spiritual environments. We are not asked to be perfect, but we are asked to pay attention. In other words, we can come into our spiritual life with a rich foundation gathered from our earthly experiences. We will acclimate better; find ourselves capable; and will be more at the ready to become true citizens in the communities built for the spiritual realms of eternity. Enjoy and learn from our earthly journey - as it's all Spiritual. What is the Other Side REALLY like? Fourteen separate readings, asking the same fifty-two questions: One amazing combined portrait of the hereafter! 2012 NAUTILUS BOOK AWARDS WINNER & BENJAMIN FRANKLIN AWARDS FINALIST! Just click the image to learn more! 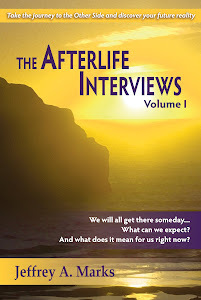 View the 2 minute Afterlife Interviews promo video! Me with James Van Praagh in August 2011!